ALAMEDA, Calif. -- A multi-alarm fire in Alameda burned a bait shop and some upstairs apartments, a property manager of an apartment building across the street said. 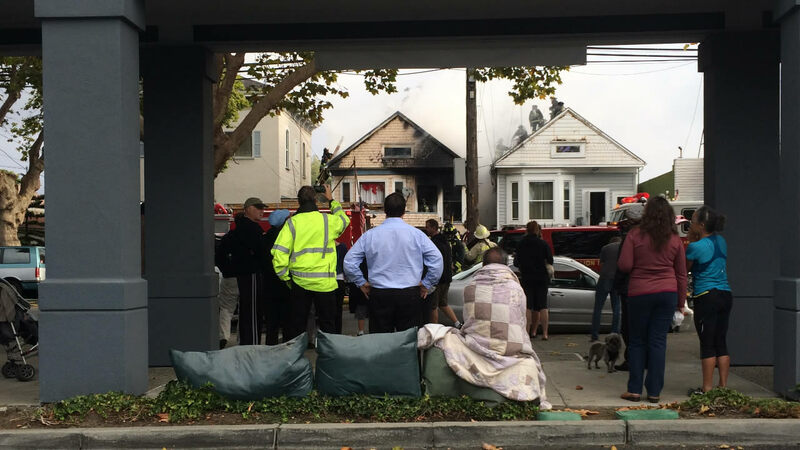 Oakland firefighters said at about 8 a.m. they responded to Alameda to help with the fire in the 600 block of Central Avenue. Neptune Court Apartments property manager Brandi McFarland said the fire burned Central Avenue Bait & Tackle at 643 Central Ave. and a home above the shop. Firefighters were gutting the building at about 9:30 a.m., with the attic completely exposed, McFarland said. About 20 emergency vehicles responded to the fire, including a hook and ladder company, she said. It didn't appear anyone was injured, McFarland said.